Say Venn Diagram and one’s thought immediately goes back to the middle school days when Set Theory was introduced as part of the Mathematics curriculum. This little chapter is often forgotten, neglected and ignored. However, its real life applications are myriad. From business to healthcare to linguistics, these bubbled diagrams have a marked presence everywhere. In today’s business world, with boundaries between departments fading fast and the increasing need for them to work in tandem to achieve the greater organizational goals, Venn diagrams come handy when such ideas need to be portrayed visually. 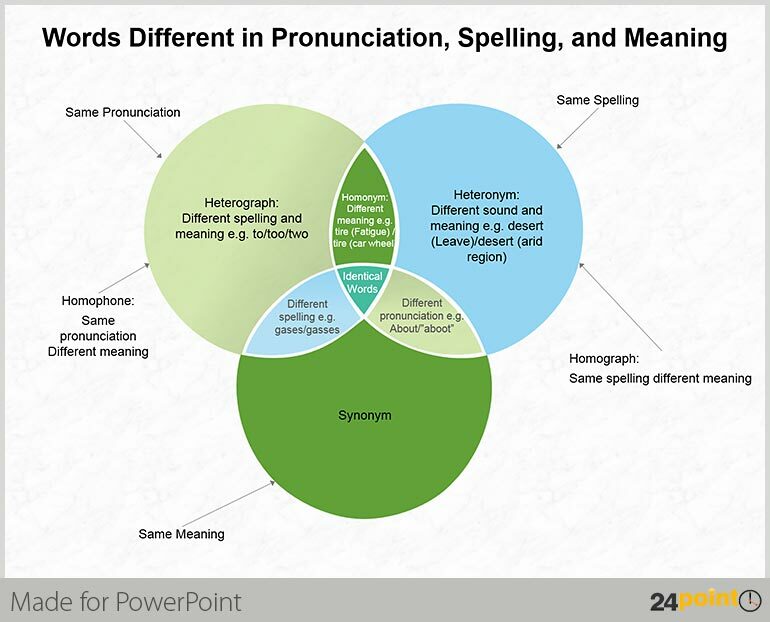 Here are some interesting pointers on how Venn diagrams can be used in business presentations. 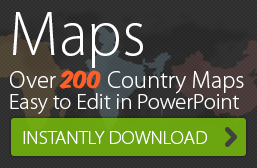 The below sample images were created using 24point0’s ready-to-use Venn Diagram PowerPoint Template. 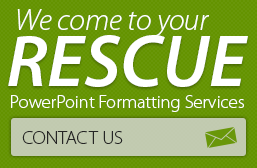 These slides are completely editable and can be easily customized to fit into your corporate templates. 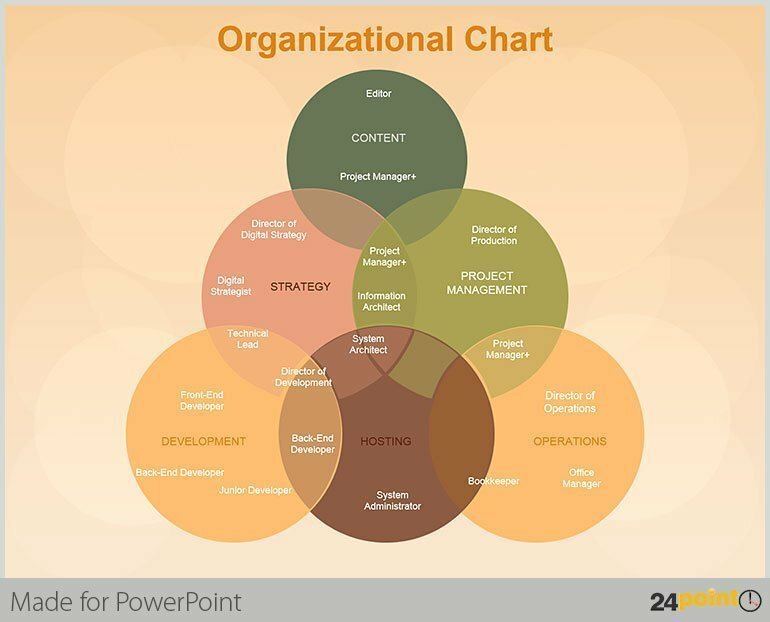 Organizational Charts – They don’t always have to show the hierarchical top down approach. Here is an excellent example of how a veteran technology consultant displayed his company’s organizational chart. A neat and fun Venn diagram that clearly shows how departments, roles and responsibilities overlap. 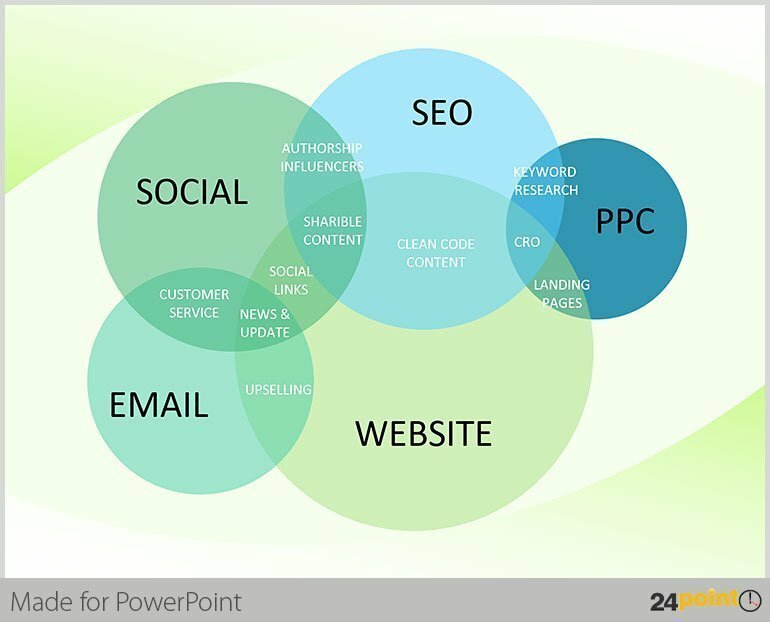 This Venn diagram discusses the advantages of combined effort and collaboration by a popular Online Marketing services company. A complex business relationship made simple! Coming to the other end of spectrum, this Venn Diagram from Wikipedia, talks about relationship between homographs, homophones and synonyms. Just the mention of these grammatical mumbo jumbo makes you giddy? See how this concept is simplified through a visual Venn Diagram.